When I was a young man I lived for a while in Brooklyn, New York and often visited my relatives in Crown Heights, known as the center of the Chabad Lubavitch Hasidim. 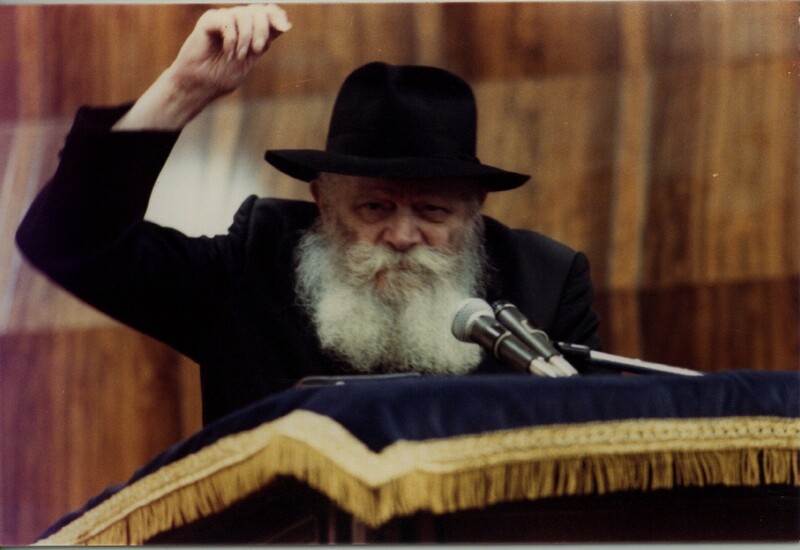 In those days the great rebbe, the grand rabbi, the leader, Rabbi Menachem Mendel Schneerson was still alive and active. He became one of the most influential Jewish leaders of our generation. To become a rabbi takes many many years of constant study. In the "old country" before a student even began his official rabbinical training he had already mastered the entire Bible and most of the Talmud. Most students knew huge sections by heart. But the Rebbe, in his great wisdom, sent out young rabbis, and some felt he send them out too soon. The time was, and is, one of great assimilation. Many young Jews were leaving the faith, tempted by the freedom offered to this generation of Jews. They were losing out on our magnificent 4,000 years of tradition, a tradition that brought and continues to bring untold benefits to mankind. The Rebbe said the hour is late and the situation is dire. He quoted the Psalms, "It is time to act, your Torah has been defiled". The Rebbe knew we must act now, there was no time to wait. So even if some of the young rabbis were not "fully qualified" as in the old days, they had to go out and reach the people. Schneerson often explained that his goal was to "make the world a better place," and to do what he could to eliminate all suffering. In my capacity as head instructor of IKI I have traveled all over the USA and Canada and many countries all over the world. Practically wherever I go there is a Chabad center and a rabbi. The words of the Rebbe have been kept and his devoted followers are all over the world trying to save Jews and bring light to this darkened world. There is a time to act. His words and actions are a great inspiration to me. Whenever I fly out of Israel on my mission to teach Krav Maga to the world I always stop at the Chabad center at Ben Gurion airport. I "sit with the Rebbe" for a few minutes and watch the video tapes that are always running. He speaks in Yiddish, which I barely understand, but I read the translations and I watch his eyes. Those eyes that sparkle. And I recall when I saw him in person. The time to act is now. Violence is on the increase all over the world, not only against our people but against good, decent people everywhere. The danger is great, and the time to act is now. So my mission is to train as many IKI Krav Maga instructors as possible. I want a system that works for the masses, not only for ex Special Forces, top athletes and life long martial artists. I want a system for rabbis, and housewives, and teenage girls and overweight men. The time to act is now. Our system is one that can be learned quickly, and if you do not master it at once you will certainly improve as you teach it to others. The best way to learn it to teach. The best way to grow is to give. We have a new DVD out; "Defeat Hamas". This is a direct response to the recent attacks we have experienced. We deal with what is happening now, not with what happened in the 1950's or in feudal Japan. Now! If you are interested in our mission, if you are willing to help others save their lives, contact us now. "The time to act is now". At this opportunity I want to congratulate our member Eilon Even Aish for teaching our system to a group at a synagogue. Not only was he teaching people who needed this training but all the money was donated to Israeli victims of terror.